A far-right Austrian political movement had a financial link to the man who killed 50 people in the New Zealand mosque shootings, Austria’s chancellor Sebastian Kurz has said. Martin Sellner, head of Austria’s Identitarian Movement, was paid 1,500 euros ($1,690) last year from a donor with the same name as the man charged with murder in connection with the attack in Christchurch, Reuters reported. “We can now confirm that there was financial support and so a link between the New Zealand attacker and the Identitarian Movement in Austria,” Kurz said, according to the agency. Last week it was revealed that the Christchurch gunman had visited Austria before carrying out the attacks. Officials have not confirmed whether shooter Brenton Tarrant, 28, met with any far-right activists during his trip. Some of his anti-Muslim views are shared by the Identitarian Movement which is closely linked to the nationalist Freedom Party that forms part of the country’s coalition government, Australian Associated Press reported. This week, Austrian officials raided the home of Sellner over the links. Sellner said he had contacted his lawyer when he became aware of the link and has denied any involvement in the New Zealand attack, Euronews reported. Sellner emphasized on Twitter that when his group received the money, the Christchurch suspect had not committed any attack. “He was not a [“mass murderer”] at the time. According to his manifesto, he had already planned the act, which is why this donation is a transparent part of his plan,” Sellner said. “It is important that the independent judiciary, with all necessary resources, conducts its investigations together with the security authorities and can lift these networks,” he said in the tweet, according to a translation by Euronews. 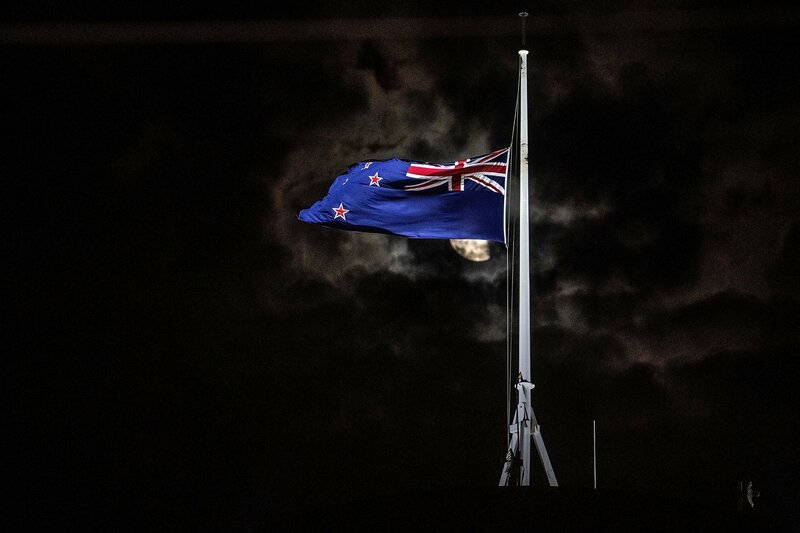 Meanwhile, New Zealand’s Security and Intelligence Minister Andrew Little said there is increased surveillance of extremist groups since the March 15 attacks. Far-right supremacist expert Professor Paul Spoonley from New Zealand’s Massey University told TVNZ that far-right groups in the country would now go underground while they faced increased scrutiny. “My experience is that these groups disband and disappear but then they re-form. To think that the far right is going to disappear is daydreaming,” Spoonley said.